JOINLEADER 800 Weatherproofing Silicone Sealant is a middle/low modulus one-part, neutral-cure, architectural grade sealant. 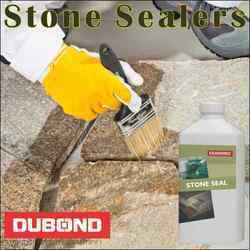 Being one of the renowned firms in the industry, we are decidedly involved in providing a premium quality array of Stone Sealer. To accomplish the numerous requirements of the clients, we are engaged in providing a high quality range of Natural Stone Sealer. Packaging Size: 1 Ltr And Also Available 5 Ltrs,20 Ltrs. 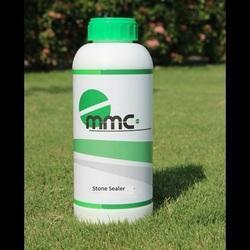 Used for marbles, tiles and concrete coating to inhance stain resistance against water, oils etc. Imper Guard SF (special facades) is one of the best high performance waterrepellent sealers for protecting porous walls and facades from humidity. impermeable and so prevent the harmful effects of humidity: infiltrations, acid rain, erosion, freeze/thaw cycle, moss and lichen growth, efflorescence, saltpetre, etc. Impregnation which intensifies colour shades extremely well. HYPERDESMO®-T is a one component high solids, polyurethane fluid, which cures with the humidity in the atmosphere. It produces an elastic, highly durable, highly hydrophobic membrane with excellent UV resistance. Being aliphatic, it does not yellow/discolour when exposed to sunlight.